Our weight loss specialist will look into the best strategy for long term success in body fat loss, keeping you lean all year round. There is no quick fix, magic diet or rapid body weight reduction plans. Instead, we follow a sensible, logical and gradual system of sculpturing your body. Some of our self-management training principles may be tough in the beginning, but please don’t despair. If you are up for the challenge, please read on. We focus on burning fats and building muscles at the same time. Our program is formulated in such a way that calories expenditure is always high while working on the muscles. In this way, we gain lean muscles! Not just bulking or increasing mass. We don’t bulk up female clients. Instead, we build lean muscle mass, creating the body shape and tone most women wanted! We will push u through cardio work , HIIT (high intensity interval training), circuit training and strength training. Together with our nutritional diet plans and creative workouts, u will definitely achieve the ideal body u want. Easy to follow Self workout plans will also be provided and encouraged during our personal training sessions. Need some motivation to start? What are the reasons to start exercising with us? We help to reduce your appetite significantly by introducing realistic meal plans. Strategies to help you lose fat without feeling hungry. Improve your metabolic response for higher calories burn. You don’t need to go through starvation or zero carbs diet to see results. Healthy low carb diet plans. Lose fat not muscles, by having enough protein intake. Set short term eating targets that is easy to follow. Carb cycling. Plan your carb intake. Training days eat more, non training days eat less. Remove all hidden calories. Careful with fruits juices, soda and sweetened beverages. Although they are high in sugar, they do not make you feel full. Reduce your supplement intake. Unless you are training very hard, we do not advise protein supplement. Excess protein will be converted into fats fast. Eat right , train well and u will be rewarded! Client doing advance core work using power wheel. Get a fit and lean body with low body fat %! The best weight loss program is the one that is not only focusing on reducing the fat zones within your body. Its also one that focuses on increasing your muscle mass. Sometimes, we get tricked into believing that the bigger the number on the scale, the worse it is for your body. However, muscles actually take up less space in your body, so body weight may go up as you add tone quality muscle mass. Here at PT works, we have a specific program that focuses on losing fat, and building muscles. Why do we need to gain more muscles? Simple. The more muscles you have, the more calories you burn. Yes, even when you are resting. Reason is because metabolism rate is raised. High metabolism rate allows more calories to be used up as energy. If you are a woman and you have a fear of bulking up, don’t worry! Our program is designed to help you gain lean muscles that will tone up your body naturally. Doing this will help you get the body that most women dreamt of. Why do we put on body fat? We have to appreciate that our body is designed to gain body fat as energy stores. These fat reserves are most stored in the common fat zones such as the belly, hips and thighs. It serves the purpose of human survival when there is shortage of food. There 2 ways of assessing whether you are overweight. Below are estimation for an average body. Our main purpose is not just looking at the weighing scale. We want to reduce your girth measurement, lower your body fat percentage and build the desired shape of your body by getting lean. Therefore, it not just how we look. Its how we feel, physically and emotionally. Cutting your excess body weight should be a long term, sustainable journey. Exciting workouts that includes high intensity training! Our program is ensured to be effective with dynamic exercises ranging from cardio workouts, HIIT (High Intensity Interval Training), circuit training, and strength training. Our program will also provide you a personalised nutritional diet plans and creative training programs. With this, the ideal body that you want to achieve is a step closer. 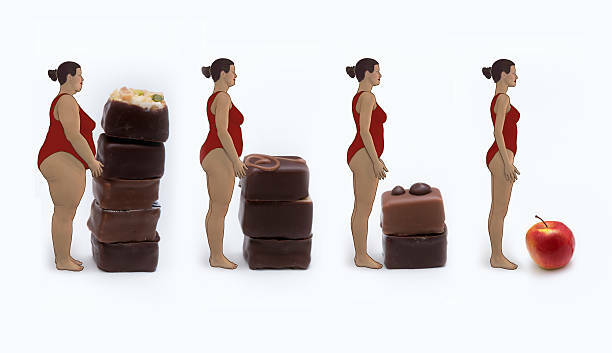 It is truly the most efficient weight loss program in Singapore. With PT works, you will also receive your self-workout plans that are easy to follow, so you can exercise even at home or when travelling overseas. The body of your dream is just a sweat closer. By eating right and exercising properly you will reach your goals very soon. Things we do for faster weight loss results! Lift heavy weights – Light weights with high repetitions are a thing from the past. Lifting heavier weights increase training intensity with helps in fat loss. Train the legs – Large muscle groups on your legs uses more calories. Do supersets and dropsets – Ditch the straight sets approach. Supersetting your exercises with opposite muscles makes your workout more intense. Pair up your exercises involving upper and lower body. Make use of cardio machines – Perform HIIT on treadmills, elliptical machines and stationary bikes. Finish off with a fast sprint on treadmill. 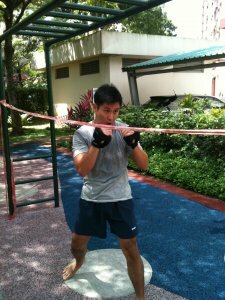 Outdoor circuit training – Do some workouts outdoor for maximum burning. 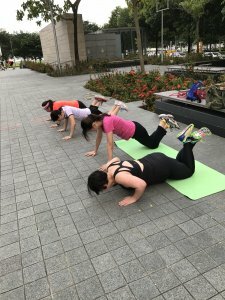 Outdoor Group circuit training at THE LAWN , MBFC Singapore. 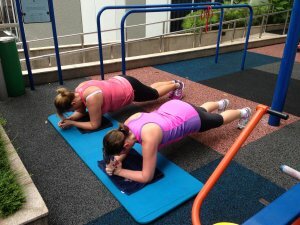 We do Boot Camps training too! Contact us for a Trial Workout!